With the long, cold winters in the Avon area, a reliable heating system is an absolute must. Whether you have a gas furnace, a boiler, or a heat pump, regular care and maintenance are required to keep it operating properly and efficiently. At Service Plus Heating, Cooling & Plumbing, our HVAC experts can help you keep your heating system in prime condition. We offer complete heating services throughout the Avon area, including routine maintenance and tune-ups, repairs, and system replacements. Our friendly, certified HVAC technicians have the skills to help with any heating problem, large or small. From County Road 500 East to Raceway Road, contact Service Plus today at 317-434-2627 for heating service anywhere in Avon! Reduced energy usage and utility costs – A clean, well-maintained heating system requires less energy to keep you comfortable. Fewer repair costs – By catching problems early during the maintenance process, unnecessary system damage and repairs can be avoided. Longer system life – By keeping the heating system clean, lubricated, and operating properly, you can prolong its life. Improved comfort – A heating system that is in peak condition can provide better overall comfort, with even temperatures and improved indoor air quality. At Service Plus, we recommend at least two maintenance visits a year, before and after the heating season. Contact us today to schedule a maintenance appointment! For fast, reliable repairs in Avon or Washington Township, contact us today! Our installers are fast, efficient, and clean, and they are happy to answer any questions you may have. Contact us today for an installation or replacement quote! 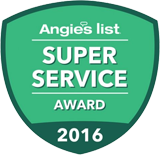 Whether you live in Austin Lakes, Hollowbrook, or Timber Bend, you can trust our team at Service Plus for all your heating needs in the Avon area.